You are here: Home » Should we stay or leave? It seems that the remain or leave the EU boils down to one point. Well it does if you’re on the exit side of the argument. That being it’s all because of the EU we have a lot of immigrants coming over here and taking our jobs ( simultaneously living off benefits ). 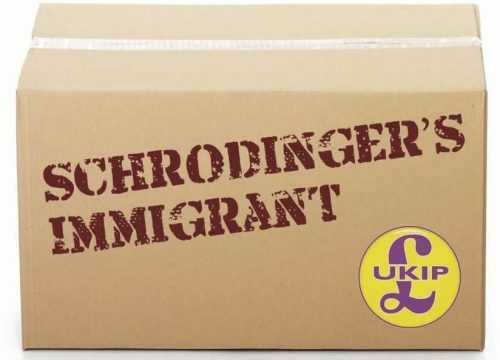 Schrödinger’s immigrant in other words. Those on that side keep banging on about immigrants and being allowed to just wander into the country. It just sounds like they’re a stuck record. 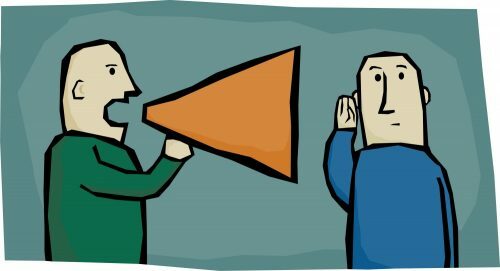 Repeating the same message time and time again – These people don’t worry about facts or figures if they talk loud enough. They go on about “open borders” and this allows any foreigner into the country without any checks. I think I’ve got what they are saying correctly. There is only one problem with this. That being this country hasn’t signed the Schengen Agreement. That means we still have all the border controls we had 1995 when that agreement came into force. You still have to show some form of ID but you can’t just wander into the country unchecked. This isn’t the case in mainland Europe. Some people do believe that’s the case. They ignore the fact that these immigrants come over here and work. 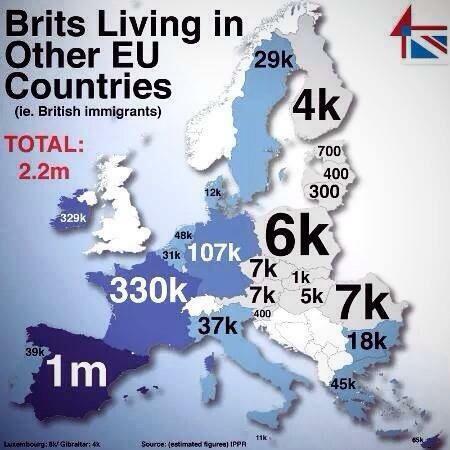 Also they ignore the facts that a lot of people from the UK are becoming immigrants in other European countries. They are called ex-pats quietly side-stepping the rhetoric that they are shouting out at anyone who cares to listen. What are going to happen to the people who have decided to make their lives in a different country? The one policy party, UKIP – or the “Party of failed Conservatives“, go on about this. With their MEPs doing a sterling job of being some of the worst voting MEPs at the current parliament. The thing that you need to know before you decide which way to vote is facts. You shouldn’t be swayed because of the xenophobic opinions of one side of the agrument. What will it mean for Britain out in the wilderness? How much more would it cost to export goods to Europe? How much would it cost to import from Europe? What new tariffs would apply? What will happen to the scientific co-operation projects that we have with Europe? How long will it take to renegotiate all the trade agreements we have with Europe? What will happen to farming, and other industries, in the UK after all the EU subsidies have been removed? How much would the pound drop? Will this end in a second devaluation of our currency? The above questions, and many others, don’t seem to be being answered by the bluster of the exit groups. The ones that are fighting against each other for the money. Sorry, the ability to be the official leave campaign. That and the money that comes with that honour! With all of the “Blame it on Immigrants” rhetoric that’s coming from the Brexit camp. That and no answers to what the plan would be the day after we leave. I don’t think they have thought that far ahead. UKIP have only had 20 years to get this sorted out and answer us with a definite answer to any question. That’s what we hopped for. However, we got something even better. Great comedy and great in-fighting between Nigel Farage & Douglas Carswell on which Brexit group should be the official one.